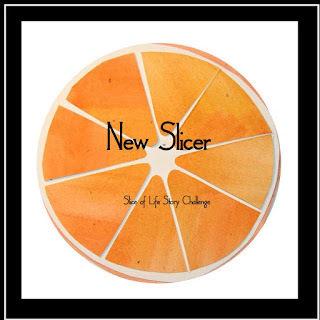 Slice of Life: Classroom Slicing! We recently finished reading and analyzing The House on Mango Street, so talking about vignettes was an easy way to get started thinking about what constitutes a "slice of life." There are so many different types of vignettes in the book too, which helped to broaden our discussion about what they could do. I would love to say "and then the room lapsed into a silence broken only by the sound of keyboards furiously clicking and clacking away," but a more accurate description would be something along the lines of "then the classroom filled with the wild mutterings of 'what do I write about?' and endless questions about technicalities, alongside the furious clicking and clacking of individual students. The first few posts started trickling in for me to approve and make visible to the rest of the class: the ice cream truck, day one: gameface (a meditation on which video game to play first), the futility of cheers during basketball games, stalking another student's car in traffic on the drive in to school, and more. 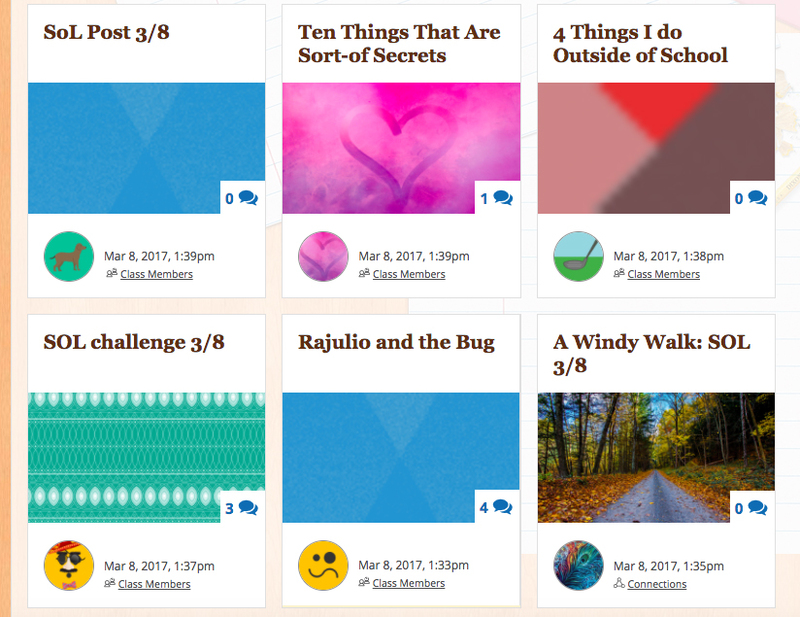 Launching with the second class went a bit smoother, because our page was already filling with mentor posts from the earlier group. The same few questions, "Does it have to be true?" or "Can we write about other people?" popped up but then everyone (mostly) got down to work. And that's just day one. I can't wait to see how the rest of the month develops! Are you a teacher with a slicing class that wants to connect? Our Kidblog posts are here, but you have to have a Kidblog account and ask to "follow" us before you can see and comment on posts. Thanks! I was making this post quickly during a prep period, so I didn't have time to go looking for attribution. Will update soon. Sketches by Boz, Illustrative of Every-Day Life and Every-Day People -- originally newspaper columns. I'm so flattered that you shared my slice! That was a fun one to write. There are so many terrific mentor texts/lines in House on Mango Street. I've never incorporated the Slice Challenge in one of my writing classes before, but I just had a fun idea to develop a spring writing course that would cobble together monthlong writing challenges--Slice in March, Poetry in April. Not sure about Jan or Feb, but I'm sure there's something out there!